An established graphics printing business that creates custom graphics on most all types of clothing and promotional products. A quick turn-around shop with equipment that can produce anywhere from a half-dozen to thousands of an item. Capabilities include screen printing, digital printing and embroidery. Click on the ID# or photo for more detail. A full service company that provides name brand and custom products and installation throughout the Delaware beach area and beyond. They also provide carpet cleaning services and repairs. A storefront showroom provides an outstanding display and samples of their products. Click on the ID# or photo for more detail. Two locations in the Washington D.C. metropolitan area. An experienced and professional staff use state-of-the-art products to tint your windows an/or protect your paint. Fast in-and-out shop service for vehicles and on-site window tinting of homes and businesses. Click on the ID# or photo on left for more detail. Popular and profitable specialty shop. Originally a fashion boutique, this woman owned store has evolved into a more unique and diversified product line in keeping with its upscale clientele. 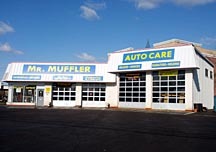 After thirty years of operating this family run auto care business the owners are ready to retire and transfer their success to a new owner. Great location on the main thoroughfare in Waldorf, Maryland. Good mechanics already in place and owner financing available to a qualified buyer. Reasonable Lease terms or possible option to purchase property. Click on the ID# or or photo on left for more detail. ** SDE is the Seller's Discretionary Earnings. It is a recast of the business's financials to show the cash flow and the real value of the business by making adjustments for the owner's compensation, non-cash tax deductions like amortization and depreciation and expenses that are solely for the benefit of the owner. *** Explains if inventory is Included or in Additon to the Price.